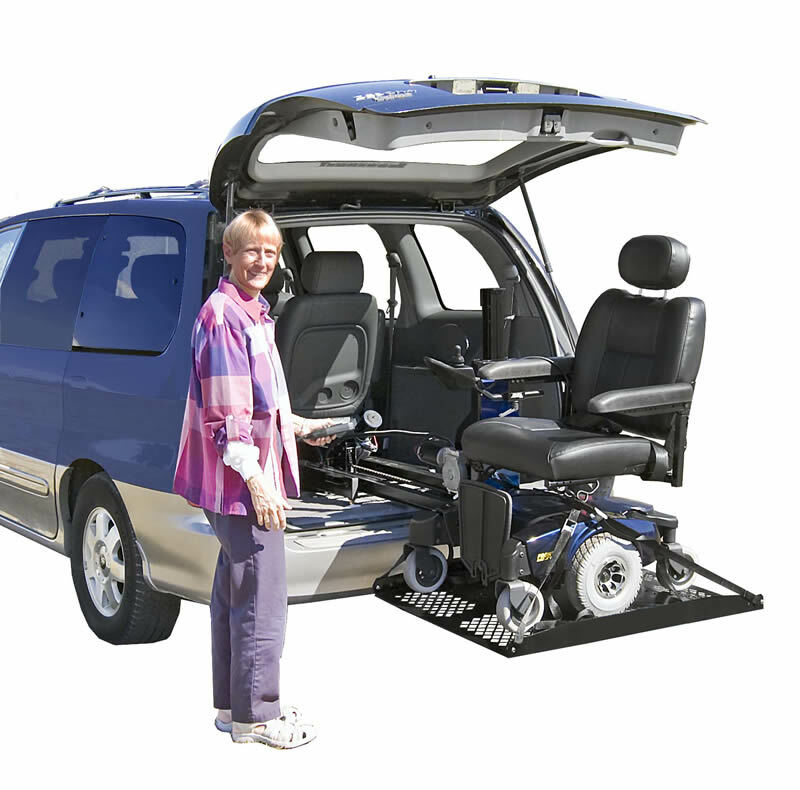 The Hybrid Platform Lift is an inside lift, but operates with the convenience that an outside lift's platform offers. 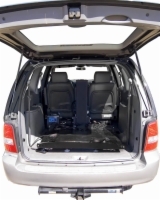 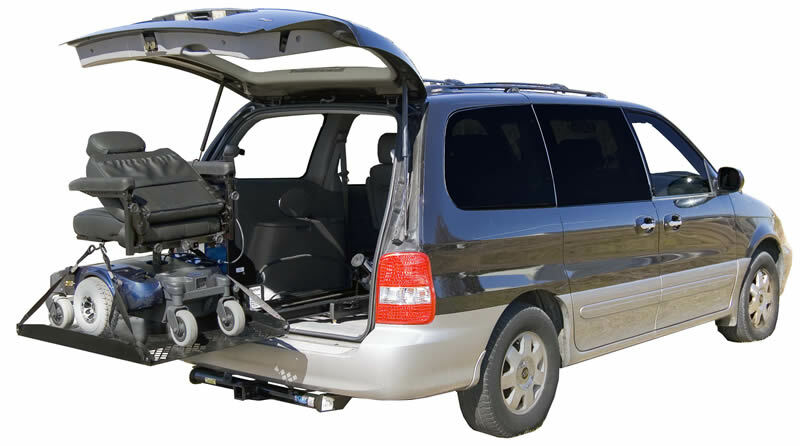 The lift attaches to your vehicles third row seating hardware without drilling. 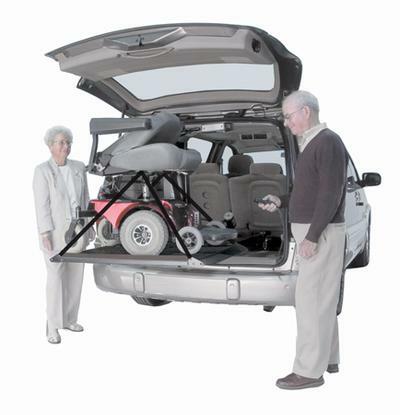 When in operation a scooter lift's platform extends out on rails from inside your vehicle until it clears the rear of your vehicle. 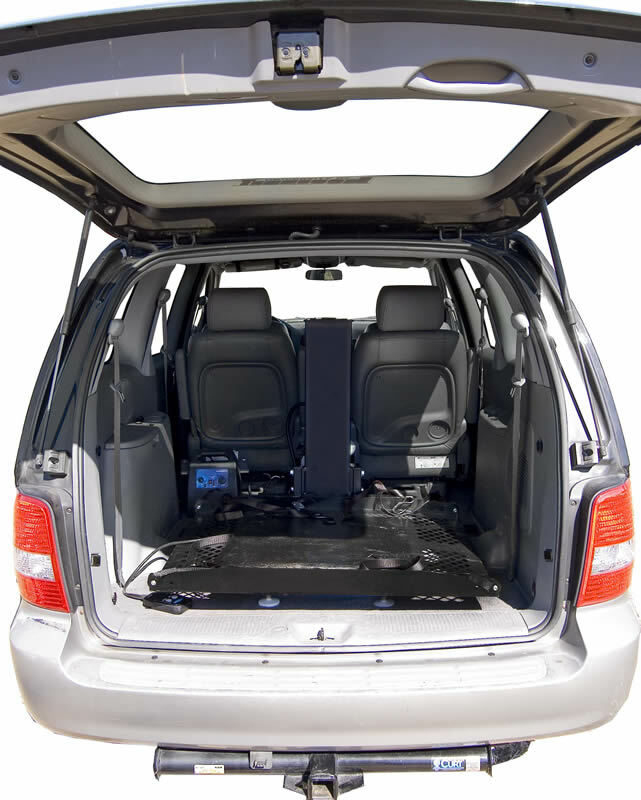 From there, the platform lowers to the ground. 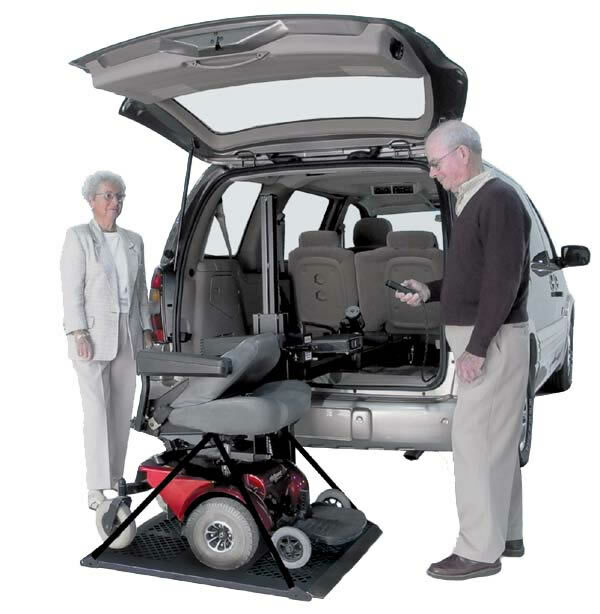 Simply drive your power chair or scooter onto the platform, attach the straps, and press a button. 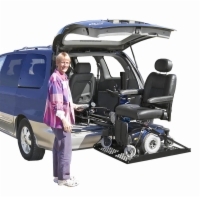 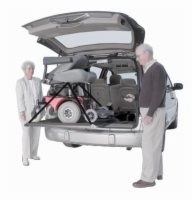 The power chair or scooter automatically lifts and is stored securely, inside your vehicle. No modifications are required and loading and unloading are done entirely by remote hand control.